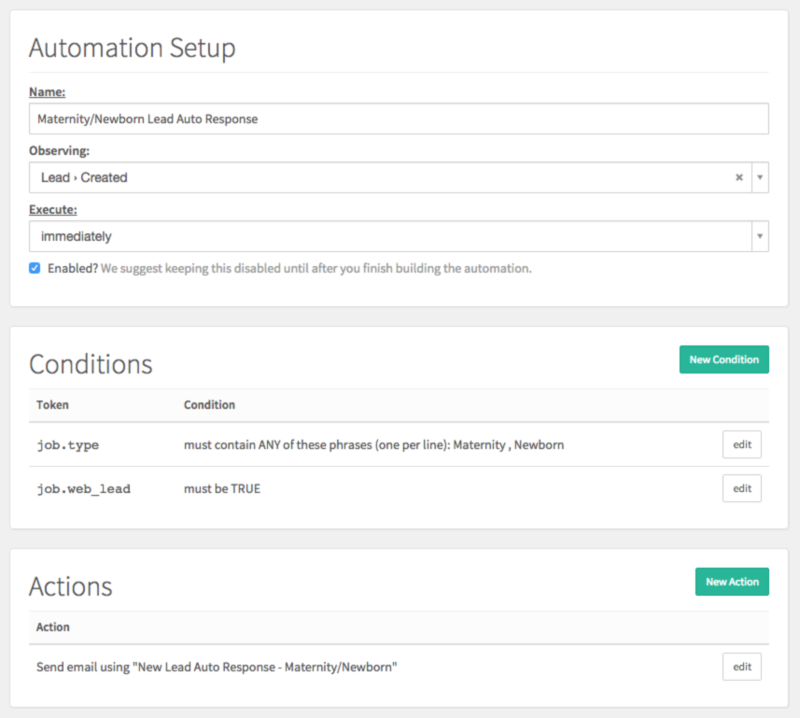 How to set up an automation to automatically respond to new leads, including when you're out of the office. 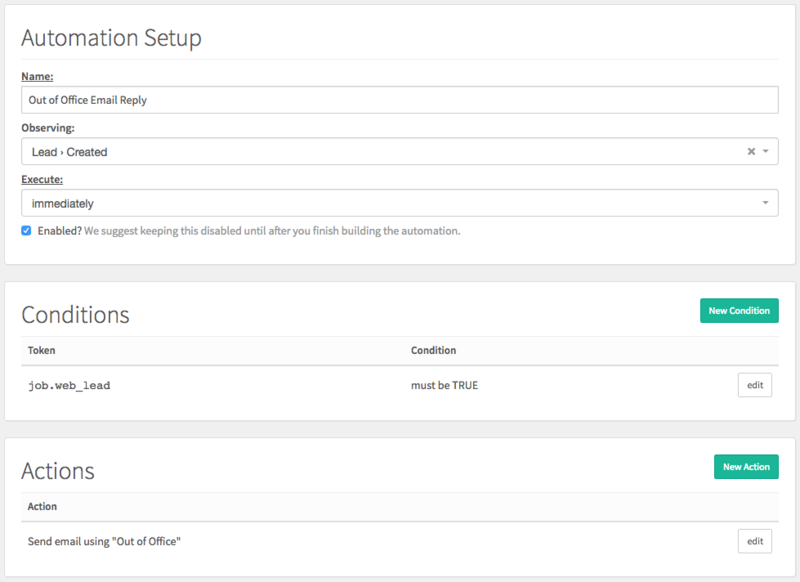 Similar to the above automation, you can set up one that observes any lead created, regardless of job type, to send an out of office message if you will be away. Simply edit your email message and enable when you're going away, and disable it when you return.